Beautiful really nice, in the calm area is served by the hill of the mountain we have a nice three-room apartment for sale located inside a well kept court composed of 3 total housing units. 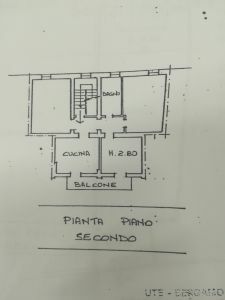 The apartment in question remains on the second and last floor and everything has been completely restructured Towards the beginning of the 90s, composed of entrance, kitchen, large living room with fireplace, two bedrooms, master bathroom , balcony. On the ground floor inside the courtyard supplied to the building there is an uncovered parking space as well as a small garden for common use. FINISHINGS: Double glazing, wooden doors and windows, working fireplace already in place, ceramic flooring, excellent sun exposure, roof redone and appeal over the years. The view of the apartment is very pleasant on one side towards the court while on the other towards the mountain of Grumello! The building is already ready for use, except for a general painting .. We offer the possibility for those who need it to be able to take advantage of a maximum mute up to 100% with fixed and / or variable installments and with rates at historic lows ! !